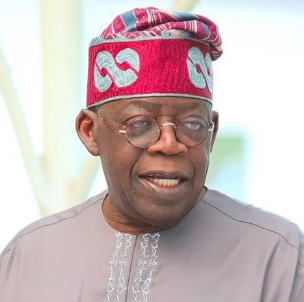 MAIDUGURI— NATIONAL leader of the All Progressives Congress, APC, Bola Ahmed Tinubu and the National Chairman of the party, Comrade Adams Oshiomhole, yesterday, took a swipe at former president, Chief Olusegun Obasanjo over his allegation that President Muhammadu Buhari has planned to rig the forthcoming elections in favour of the ruling APC, saying he is expired and should not be trusted. 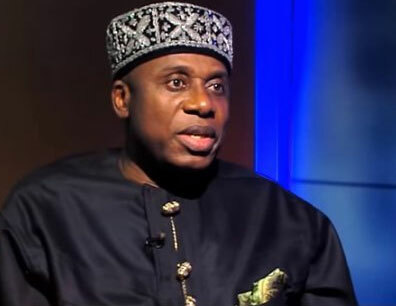 This is as Director-General of the APC Campaign Organization, Rotimi Amaechi has alleged that elections were not done in the South-South, instead what the opposition People’s Democratic Party, PDP, normally did was mere writing of results. Tinubu, Oshiomhole, and Amaechi spoke at the APC Presidential campaign rally in Maiduguri, Borno State capital. The APC national leader at the mega rally described Obasanjo as belonging to the crop of expired politicians who should confine himself to his farming business in Ota, Ogun state. He said that former President Obasanjo disappointed the Yoruba people when he failed to recognize June 12 as democracy day, despite pressures mounted on him to do so. He said that for the fact that President Buhari had the courage to recognize June 12 as Democracy Day, it was a point to show that he (Buhari) is a democrat. He accused Obasanjo of championing rigging in Nigeria’s electoral process and therefore is incompetent to criticise Buhari over impunity. His words: “You can hear the other expired leaders like Obasanjo ranting and lying; don’t believe him, don’t trust him, he is expired. “We are sweeping all the cobwebs, dirt and corruption away to give Nigerians a new lease of life and hope; that is what Muhammadu Buhari is doing and we are with him one hundred per cent. “ (On) the insecurity experienced under Obasanjo, I think Ota should be enough retirement place to keep him quiet. Who can recall the year 2003 election? Who among Nigerians would not recall Obasanjo’s rigging excesses of 2007? “I won’t spend my precious time doing that today, I will do that in the future, Buhari has been upright, firm, steady and focused with a great vision for the betterment of our country. “No other President has upheld democratic principles as Muhammadu Buhari, we the Yoruba cannot forget in a hurry Obasanjo’s shenanigan, what he did in 1999 we gave it to him but he cannot remember for once and actualize MKOs mandate for June 12. “He ruled in 1999, 2003,2007. We asked him for the recognition and actualization of that mandate, he failed. Who declared June 12 as Democracy Day? Muhammadu Buhari! Who then is a better democrat? Tinubu rhetorically asked. 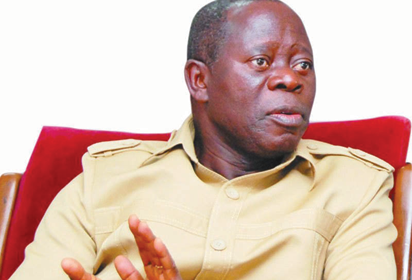 National Chairman of the APC, Adams Oshiomhole said under Obasanjo people were making subsidy claims when they had done little or no job. According to the APC Chairman, Borno State suffered unprecedented pains in the hands of terrorists even though funds were appropriated to fight the menace. His words: “For too long the challenge of our country is that there is no relationship between effort and reward, those who make more money are those who do no work, all you needed to be a wealthy man is to know somebody in NNPC and you have your fake subsidy claims. The Campaign D-G, Amaechi alleged that elections were not done in the South-South, claiming that it was only writing of election results. He added that he had the belief that votes in the forthcoming elections would count. Chief Olusegun Obasanjo has fired yet another missile at President Muhammadu Buhari, saying he is sick in the spirit, body and soul. The former President said this in an interview with BBC Yoruba. 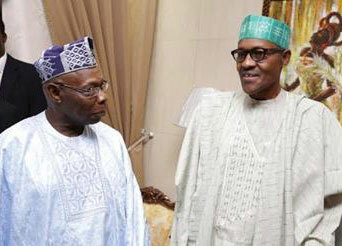 Obasanjo insisted that Buhari needs to rest and allow another person to take charge of the country. Speaking in Yoruba, he said: “Buhari is sick in the spirit, body and soul. Let’s beg him to go and rest. He has tried his best. Let’s give chance to another person.